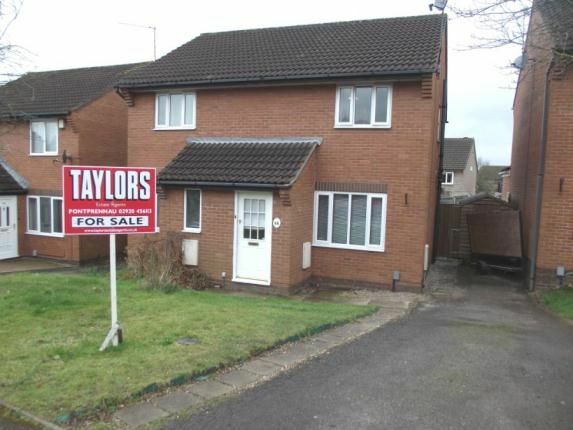 This two double bedroom semi detached house is located in Pontprennau. Commencing with entrance porch, lounge, kitchen breakfast room, two bedrooms & a family bathroom. Open plan garden to front with driveway to side & enclosed garden to rear. An excellent first buy, investment or downsize option. Book your viewing by calling today. Lounge17'2" (5.23m) x 12'1" (3.68m) (Into Stair Well). Double glazed window to front. Laminate flooring. Radiator. Arch to Kitchen/Breakfast Room. Square opening to under stair storage. Stairs to first floor. Kitchen/Breakfast Room12'1" x 6'8" (3.68m x 2.03m). Double glazed window and door to rear garden. Kitchen units comprising of high level units and base units, work surfaces over, inset sink, integrated fridge/freezer. Halogen hob. Laminate flooring. Radiator. Landing Doors to bedrooms and bathroom. Loft access. Bedroom One12'1" x 8'9" (3.68m x 2.67m). Double glazed window to front. Radiator. Bedroom Two12'1" x 6'9" (3.68m x 2.06m). Double glazed window to rear. Radiator. Built in storage cupboard. Bathroom Double glazed opaque window to side. White suite comprising of panelled bath with electric shower over, low level W.C., pedestal wash hand basin, ceramic wall tiling. Radiator. Rear Garden Enclosed, laid to lawn with a paved patio. Garden shed. Front Garden Open plan with driveway to side. Area laid to lawn. Pathway to entrance door.